I have seen some amazing ways to recycle plastic bottle caps, but I do love this idea that uses recycled plastic bottle caps to make a curtain. 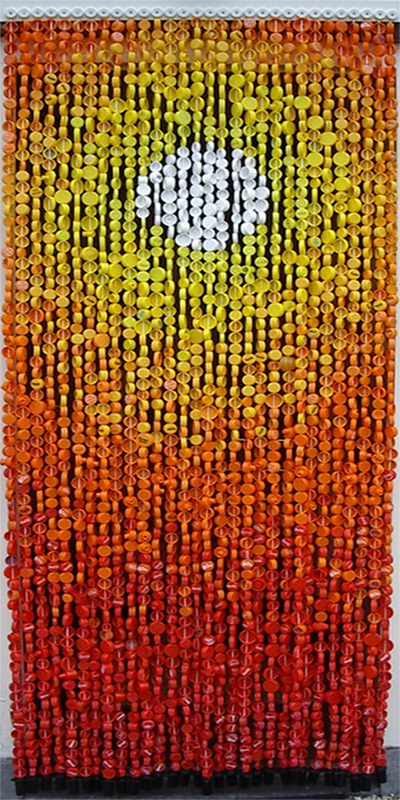 The colourful plastic bottle caps are arranged to form a wave design that look stunning against the red and yellow background. 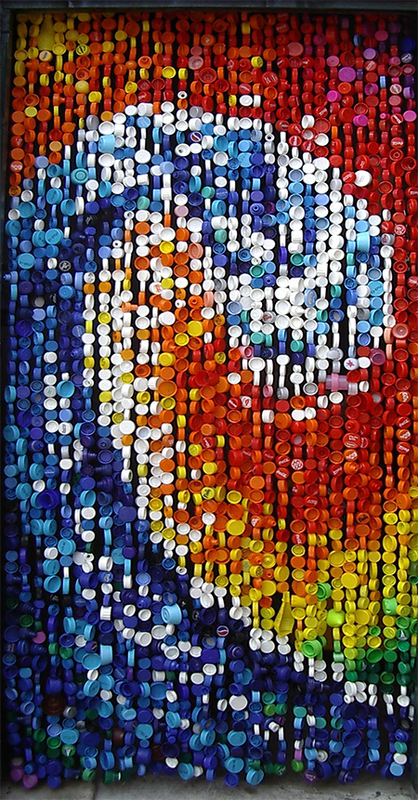 It may take you some time to collect enough caps to make a complete hanging curtain, but with all the crafty ideas for recycling plastic bottles, now you have a reason to keep the bottle tops as well ! 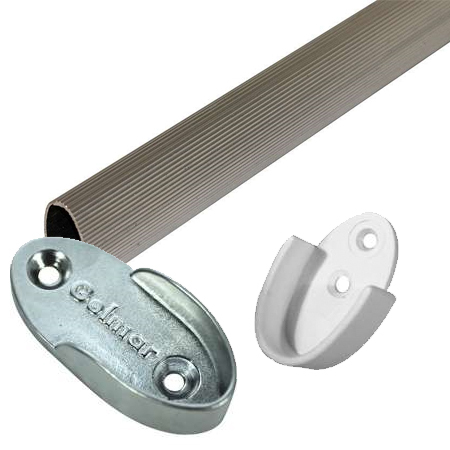 Buy all the supplies you need for this project at your local Builders Warehouse or Gelmar. Start off by arranging the caps according to their colour and size, especially in you plan on having a specific design. 1. 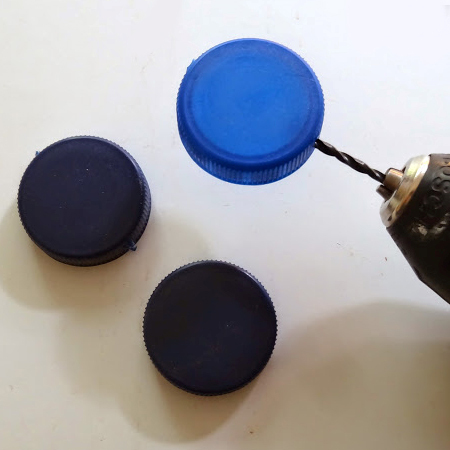 Use a 2mm drill bit to drill a hole in the top and bottom of each bottle top. 2. Thread a needle with heavy-duty nylon thread. 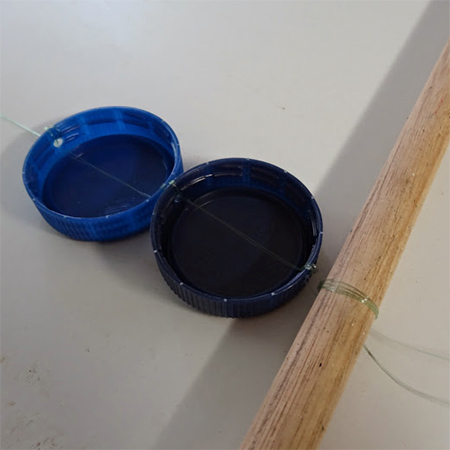 Leaving a length of line about 10 centimetres long at the top, go through the top hole three times and then through the bottom hole three times. Repeat this for every single bottle top that you add. Make sure to pull the line taut as you work. 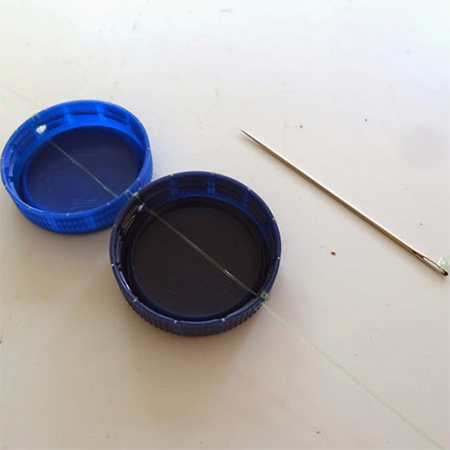 It is easier to work on top of a long countertop or worktop where you can lay out the lengths of threaded bottle tops. You will also be able to see your design and how it takes shape as you add more strips. 3. 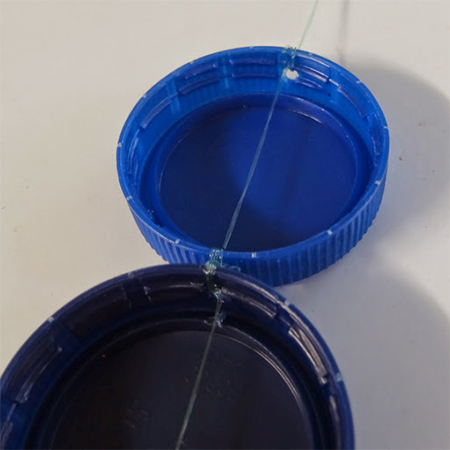 Tie off each length of bottle tops with a double knot. At the top secure the nylon line around the pine dowel.